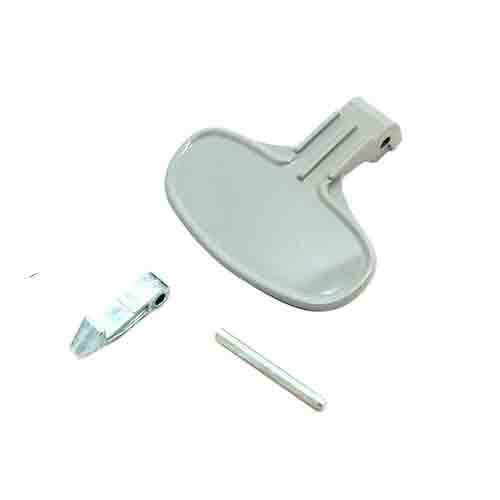 Genuine replacement Hoover washing machine door handle kit. This door handle kit is supplied in white or silver/ grey depending on stock and includes the catch and fixing pin. 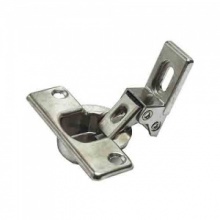 I purchased this part to repair my elderly neighbours washing machine. The only problem I had was the fitting of the spring, which I realised after many attempts that I had put it on the wrong side of the lock. Once I realised my mistake, all was good and I have a very happy neighbour. Great service from Parts4Appliances. Really good quality replacement handle.